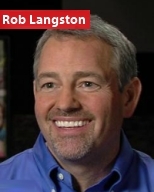 Rob Langston is the author of For the Children, Redefining Success in School and Success in Life and The Power of Dyslexic Thinking, How a Learning Disability Shaped Six Successful Careers. He is the founder of the For the Children Foundation an organization dedicated to raising awareness for children with learning challenges. Rob has spoken to half a million students across the United States, sharing his powerful educational, inspirational and motivational messages. He is routinely called on by major media sources such as Psychology Today, Radio Disney and Major Television News Networks for his expert advice. Rob is also a distinguished speaker in the business world, serving for over a decade as a resource consultant to Vistage, the world’s largest membership CEO and business owner organization. Rob lives in Athens Georgia were he served on the State Advisory Panel For Special Education for the Georgia Department of Education for seven years as well as serving on the Alumni Board of Directors for the University of West Georgia for three years. Rob currently serves on the Board of Trustees for the Churchill Center and School for children with Learning Disabilities in St. Louis Illinois. On July 7, 2011 Rob founded the Dyslexia Educational Network a broadcast company dedicated to delivering educational, motivational and inspiration content in the most accessible way for dyslexics and the people that support them.